Alzheimer's And My Mom: Do You Have Any Teeth I Can Borrow? I'd forgotten all about Mom asking me this a few days ago. But, it sure was funny. She came out for breakfast with no teeth. This happens all the time and I wasn't really paying any attention. She sat down to eat, look up and asked. "do you have any teeth I can borrow"? I told her that I didn't and then headed off toward her room chuckling to myself, to find her teeth. They were under her pillow and when I found them it made her laugh. But then again, everything make Mom laugh. I've been reading a lot on caregiverspace.org. There are lots of articles there that contain some valuable information for caregivers. One topic of late has been journaling and that's kind of what I am doing here. Over the past couple weeks I've been trying to morph this blog a bit. This blog is about Mom, but it's also about me, the family and day-to-day life as a caregiver. It helps me to write, plus I love to write, so it's a win-win for me. I finished the third book in the John Carter of Mars and am now on the fourth. which I will probably finish today. My fifth attempt at Windows 10 failed so I really give up on it now. This is the first time a software install has ever beat me. Guess I'm not as good as I once was or lack the drive. I'll just get a new laptop one of these days, I hope. It's tough being a caregiver, Mom is the easy part of the job. I've left the house one time in the last eight day for a twenty minute trip to the store. But even that's not it. We have Mom's house for sale and it's not selling. The Realtor we hired assured us that at the price we chose it would sell in a couple months. Well it's been almost six months now, we've dropped the price 33% and still nothing. Things are tight, unbelievably tight with no relief in site. I've been close to landing several social media director jobs, but even those have fallen through. 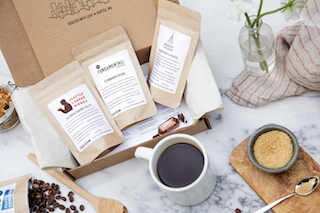 My next thought is starting a Go Fund Me project so I can start my own coffee roasting company, but so far I'm to proud to ask for help. Perhaps I deep down I like the struggle, but I don't know. Paula and I spend a lot of time talking about trips and getting away, but even those are years down the road when Mom is gone. We want to go to, Hawaii, Vegas, D.C, Boston, Scotland, Ireland and lots of other spots. 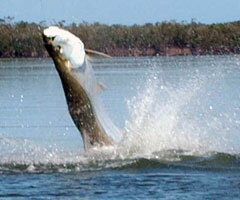 However to this day my #1 bucket list item is catching a Tarpon on a fly in Belize. My shoulders are shot and I don't think I can even throw a fly again, but the dream and desire is still there. 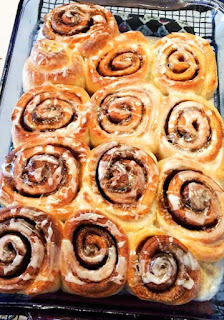 In the top picture are some orange cinnamon rolls that Paula baked. She's been baking lots of great stuff lately. I know that I don't need to eat baked goods, but I sure do like them. I nearly forgot to mention, I have had two fair nights of sleep and that's a big help. Let me know if you like this or the last few posts since they have more personal information in them. Is it too much, not enough? Give me a comment, plus a share would be nice too. Traffic is climbing, each post is being read over 100 times now and that's pretty sweet.